The plan involved lots of water, sand and kayaks. One week in March, some close friends and I visited the beautiful Pacific Northwest states of Oregon and Washington for a week of new experiences. Only a few people in our group had ever been to that area of the country, so we explored the temperate rain forests, cascading waterfalls and gorgeous coastline. 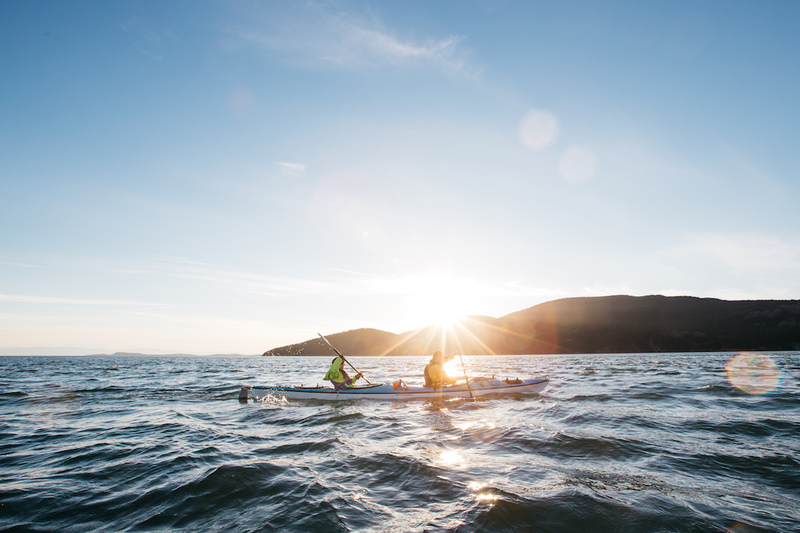 We had a plan to backpack along the coast for part of the week and then sea-kayak through the San Juan Islands later that week. 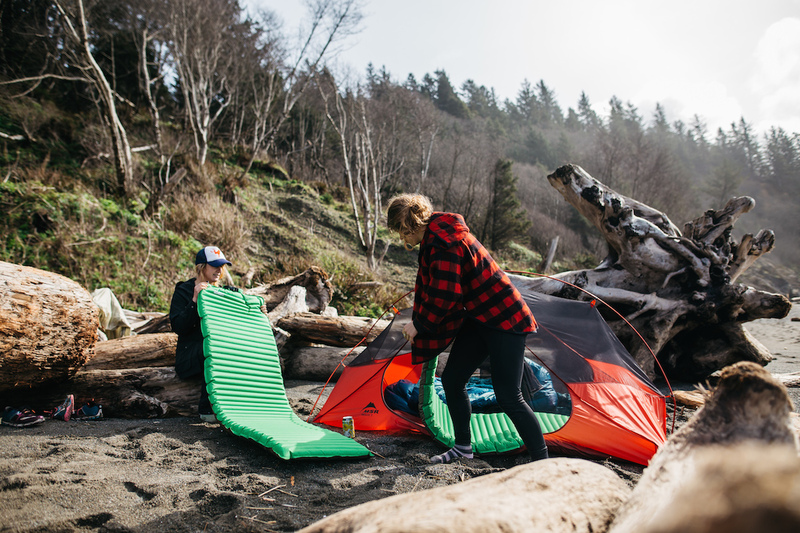 After fully immersing myself in the Pacific Northwest weather and the ever-changing conditions of camping next to the ocean for a week, I’ve come up with five tips for island or beach camping. Some might think this is pretty obvious if you’re camping anywhere in the PNW, but even if you’re on the coast in Southern California with a 0% chance of rain for the next week, bring your rainfly. This isn’t for the rain, but for all the mist and humid air that comes with big waves constantly crashing onto the shoreline. 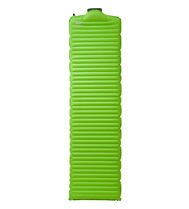 This keeps everything somewhat damp, especially if you’re staying in that spot all night. Trust me on this one. You’ll sleep much better and wake up much happier (and drier). 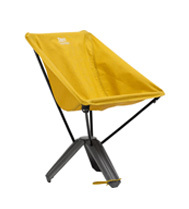 This can be fairly easy or really hard, depending on what type of beach you’re camping on. Luckily we camped in areas that had pretty coarse sand, so the granules were heavy enough to just brush off. However, if the area you’re camping in has really fine sand, make sure to keep anything that could get damaged if sand got into a place it shouldn’t be (i.e. camera lenses) off of the ground. If you need to work on the ground for something, it helps to lay down a rain jacket or some kind of tarp that won’t catch the tiny particles. Otherwise, you’ll be finding sand everywhere for the next year. Finally, make sure you remove your shoes and socks and/or wipe your feet off before getting into your tent and sleeping bag. That way you won’t bring some unwanted souvenirs home in the form of a sleeping bag or tent full of sand. That’s a whole new problem. 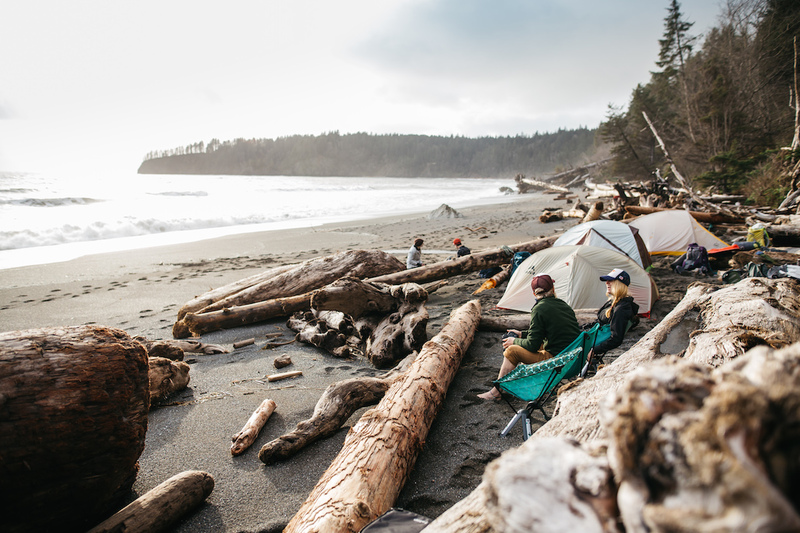 Wouldn’t it be a bummer if you went to bed and then woke up in the middle of the night with a tent full of salt water and everything that you left outside of your tent was being swept further and further out to sea? Yeah, it would. So, before you set out on your adventure to an island or coastal area somewhere, make sure that you check the tide charts so you know when peak high and low tide will be. Also, remember that the fluctuation between high and low tide is more extreme during the full and new moon stages. 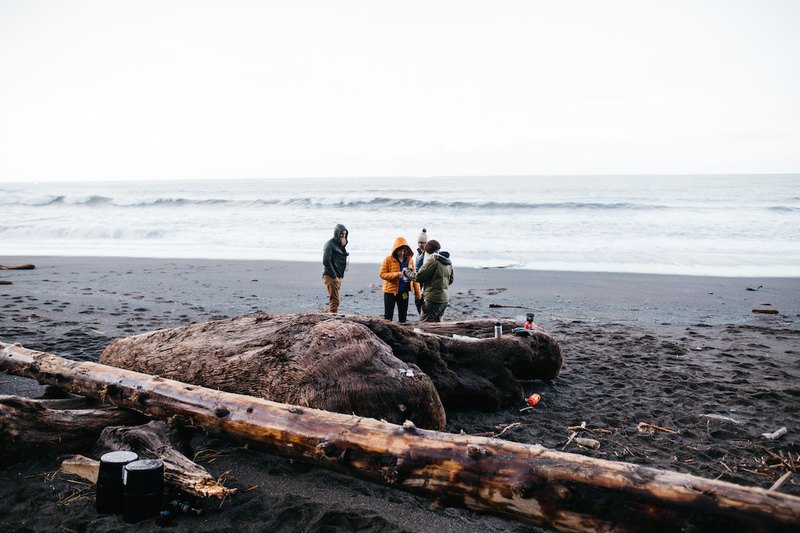 To avoid getting caught by the high tide, choose a campsite that is far enough away from the ocean (obviously). However, this may be much further than you think especially if you arrive at your campsite during a low tide period. One thing you can look for is a line left by debris that was washed up during the previous day’s high tide period. If you’re at least 20 feet or so back from this line, you should be good. If there isn’t a line like this in the sand of the beach you’re camping on, just be sure to monitor the tide as the peak high tide time gets closer. Once the peak high tide time passes, you can get some sleep and relax to the sound of crashing waves and know that those waves aren’t going to ruin your night. 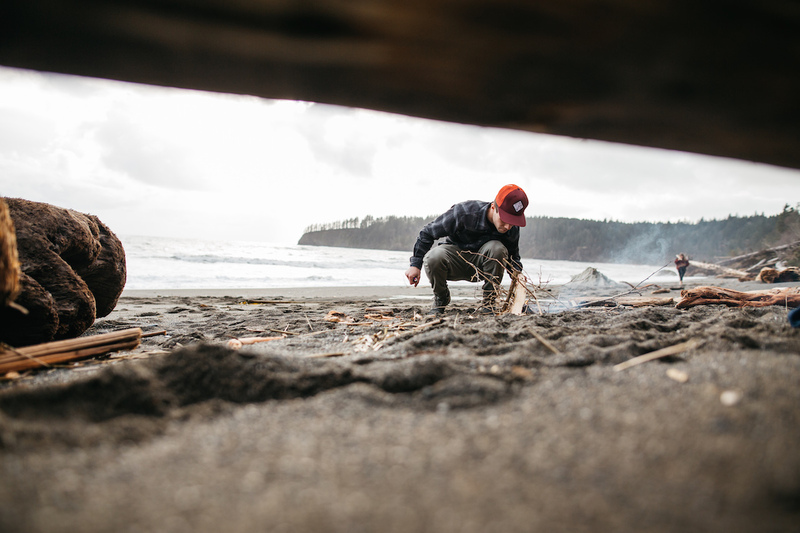 In the Pacific Northwest, it can be pretty tough to get a fire started, especially during the early spring when it rains a lot. However, it is possible! Most of the beaches and islands in the PNW have all kinds of driftwood that washes up on to the shore which is great, except for the fact that it has been floating around in the ocean for who knows how long. One solution to get that fire started is to use the wood further away from the ocean. This wood has usually been on the shore longer and has had more time to dry itself out. Grab some of this dry(ish) wood and start the fire starting process. I’m not going to go into details of this because there’s a million ways to do it and you just have to practice to get a good fire started. But when it comes to this driftwood, start with really, really small stuff and gradually build from there. As the small stuff catches it will start to dry out the bigger stuff until it finally catches as well. If you get the chance to camp on an island and the waves are relatively calm or you find a nice cove area where there aren’t many waves at all, I would highly recommend sleeping under the stars without a tent. It’s such a surreal experience to watch the stars get brighter and brighter as the sun gets lower in the sky until you slowly drift to sleep and wake up with the sun the next morning. 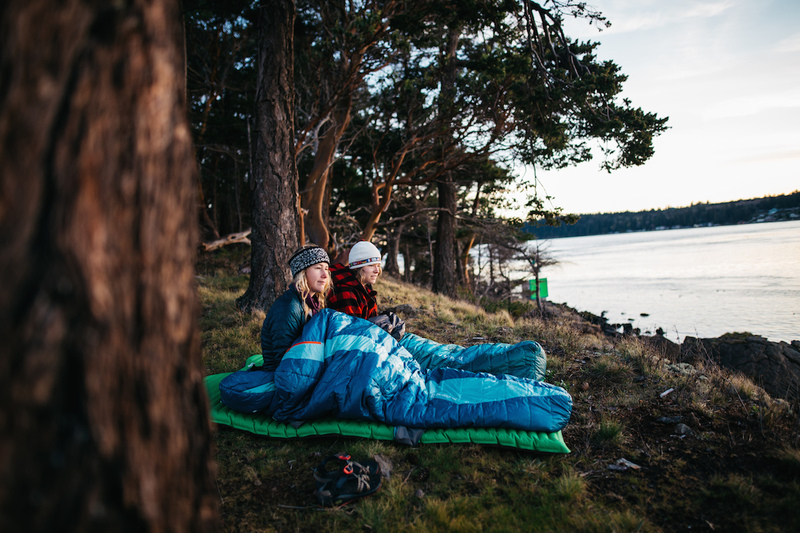 If you do choose to sleep under the stars, find a nice soft grassy patch or lay down a tarp or tent footprint before laying out your sleeping pad, to prevent puncturing your pad. 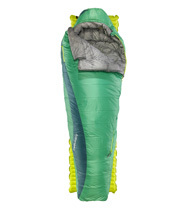 I would definitely recommend using a synthetic sleeping bag or one with hydrophobic down insulation because of the humidity in the air and the dew and mist that will be covering everything the next morning. You’ll wake up a lot warmer in the morning because they will retain their loft for longer if they get wet compared to normal feather-down sleeping bags. Overall, camping on a beach with a great group of friends can be one of the greatest experiences no matter how you do it!